Gary Farber, one of our sponsors from Hunt’s Photo and Video asked me to pass along the following specials. Check it out! There are some great deals. Check out this fantastic image by Mitchell Nelson. Do you notice anything special about it? How about the even tonal values and the detail in sky and foreground? 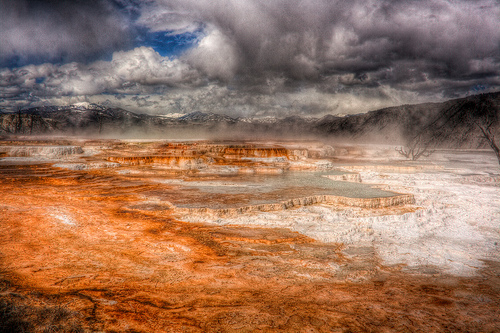 Mitchell has used High Dynamic Range (HDR) imaging to create this picture. He has combined multiple shots of the same scene that are exposed for different parts of the scene to create a single image with detail and color in all parts. If you shoot a sunset without HDR, either your sky will go white and your foreground will go dark, or vice versa. HDR allows you to expose both parts correctly. Mitchell will be writing an article on HDR imaging for our September issue! Great image Mitchell! Just a very brief post this week of a hare taken a couple of weeks ago at dusk. All the best, Jodie. There is something wonderful about hiking in the rain. I took a nice stroll through a local preserve yesterday and found that my senses came alive underneath the canopy of deciduous trees during the constant shower of rain. When I stopped it seemed as though I could hear each individual raindrop hit each leaf. The mayapples quaked with joy as they soaked up the much needed nourishment. The forest and connecting prairie/savanna even had a very ethereal, out of this world look to it. The clouds hung low, the sky was darkened, and yet the forest was lit by a very soft, even glow of white light. 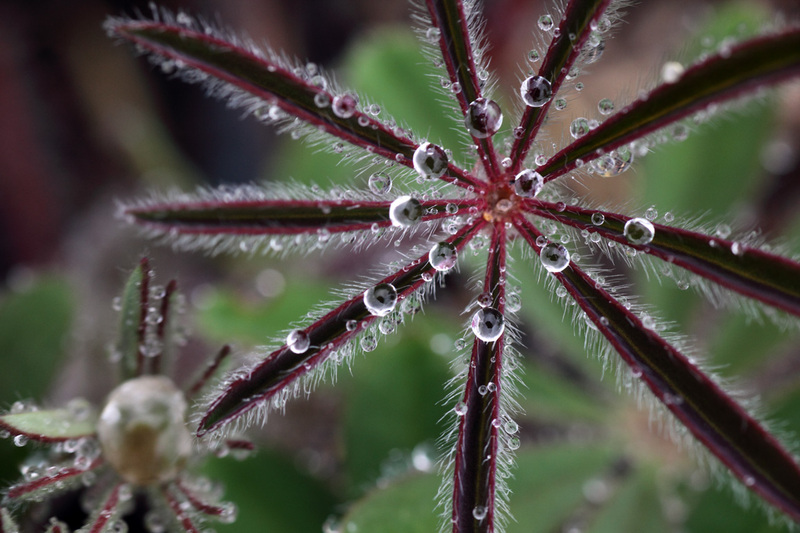 Here is an image I took of a newly sprouted lupine leaf studded in raindrops! 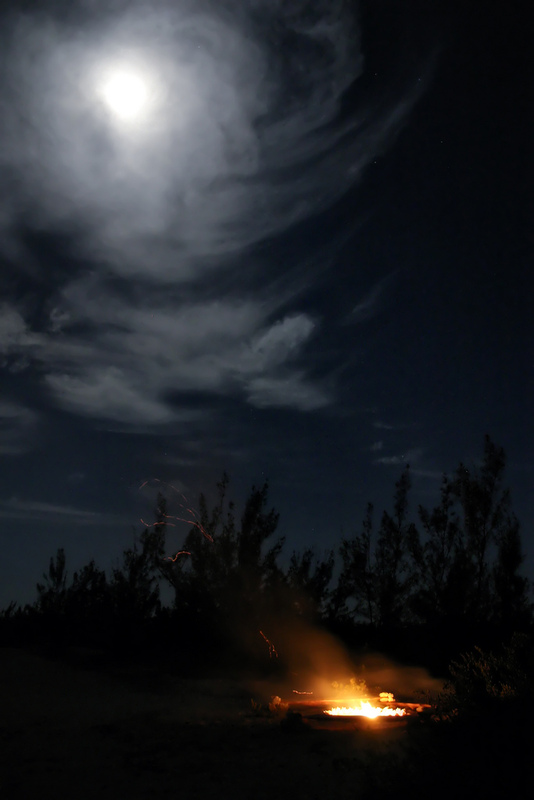 This is really interesting image and I am happy to see some night photography. No critique – just wanted to share this! So I am aware that we have featured Kento Misuno’s work on the blog in the recent past but I felt the need to make a posting regarding this image by Kento. 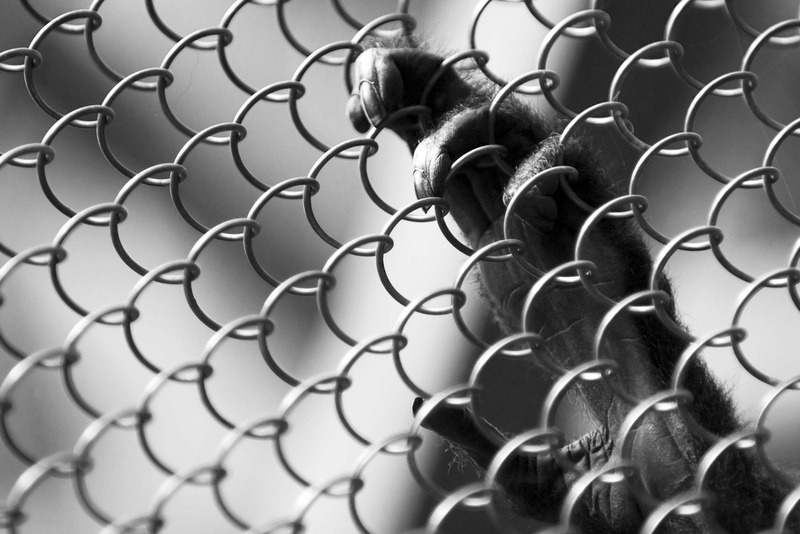 As soon as the I saw the image “Monkey Hand” in the collection of newly updated NBPS Flickr Contest photos, it immediately spoke to me in a profound way. It got me to question some very difficult thoughts. The mood being set with the image’s deep contrast is very dark and disheartening. I wondered what the status of this creature is now. Was it being held in poor conditions? These thoughts came to me only because the deep contrast, black and white, and minimal depth of field created the mood. So much of the mood in an image can be manipulated just by how the image is composed. What kinds of moods have you created in your own work and how did those images reflect that mood? I challenge any reader to post some of your own images to the NBPS Flicker Contest site! Spring is now in full swing. I am just beginning to see the first insects emerging. There are collared doves nesting in the guttering of our house, I suspect a pair of dunnocks to have built one somewhere near the end of our garden, and the resident blackbirds have made their nest in the centre of our conifer tree as they do every year. The local magpies have caught onto this, and every now and then, huge ructions erupt as the magpies try to gain entry to the nest. We are currently experiencing a spell of very fine weather after a dismal few months. 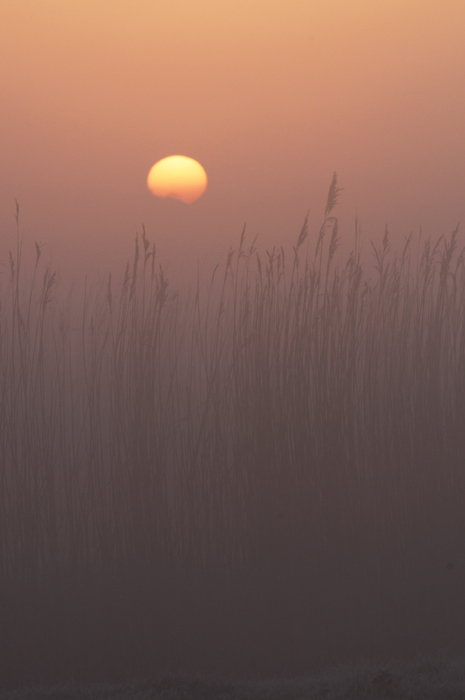 This has meant that I have been out shooting a lot, and getting up very early to do so. 4:30am to be precise. There is something quite painful about getting up at any time before 6:00am. All I can hope is that it gets easier as I get older! That being said, it has been worth it. 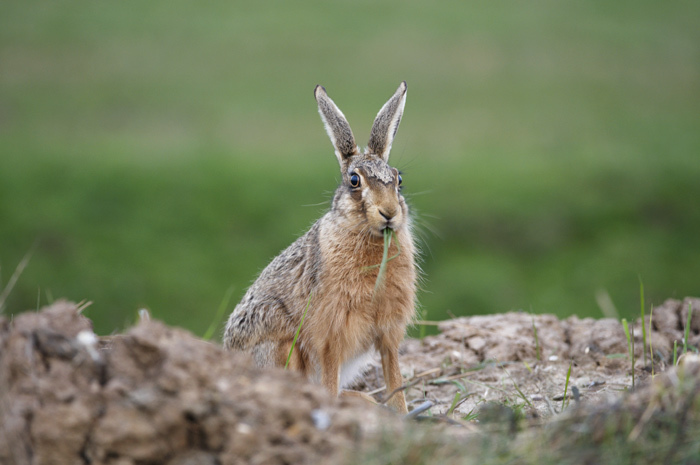 I have been at my hare site again – but this time not just for the hares. The last few days dawn has broken shrouded in a thick fog. It has been so thick at times that visibility has been restricted to only a few metres. 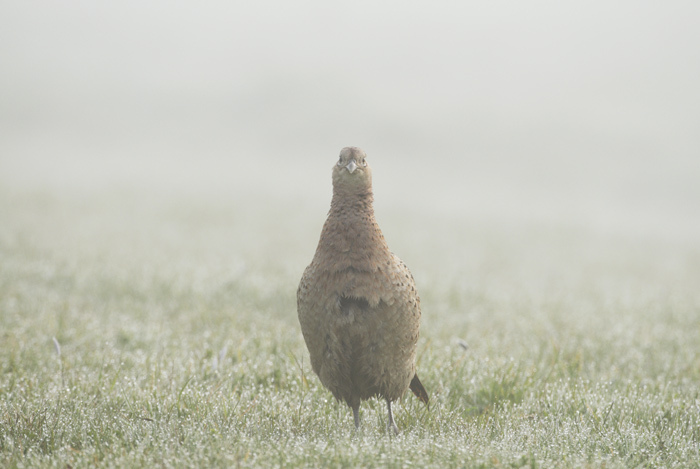 The first image was taken as the sun rose over the marshes, the second, of a female pheasant, was taken a little later on as the fog began to clear leaving everything it touched covered in dew.